The Broadmeadow’s Sporting Club | Perfect Leisure and Gaming Club. 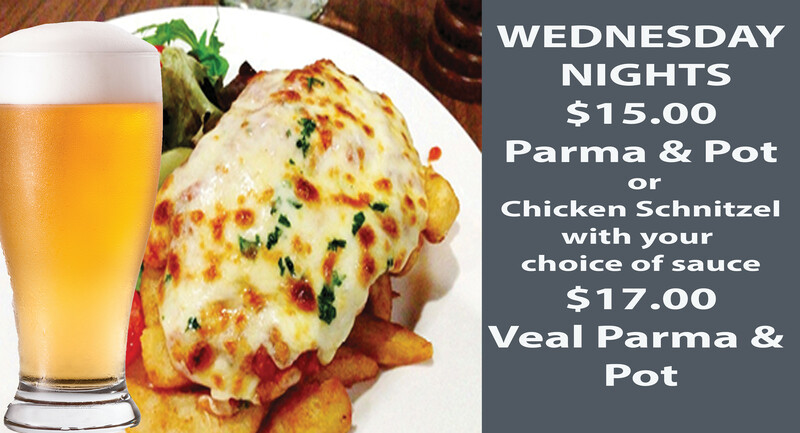 Wednesday’s are Parma and Pot Day’s at the Broady Club. Only $15!! A Chicken Parma or Schnitzel with Chips and Salad will only set you back $15, AND we’ll throw in a beer, wine or soft drink for FREE!! 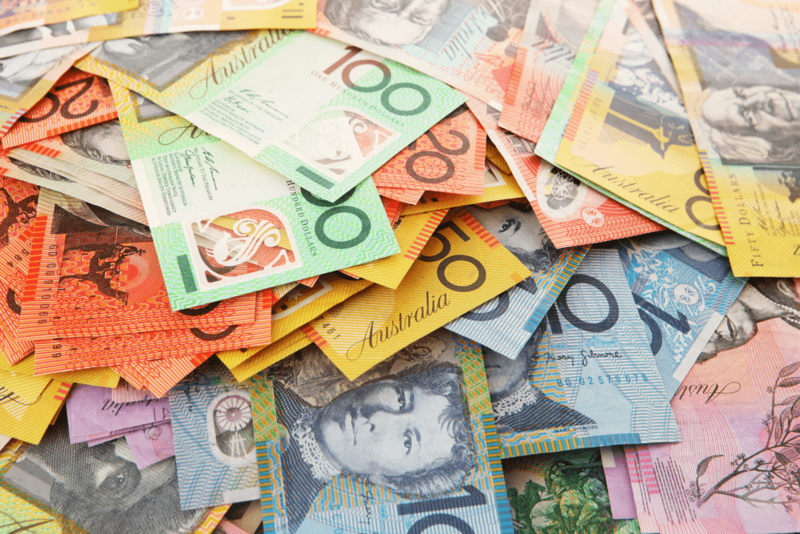 Members Cashpot Draw, win up to $1,500!! That’s right, there’s cold hard cash to be won on Thursday Nights at the Club. 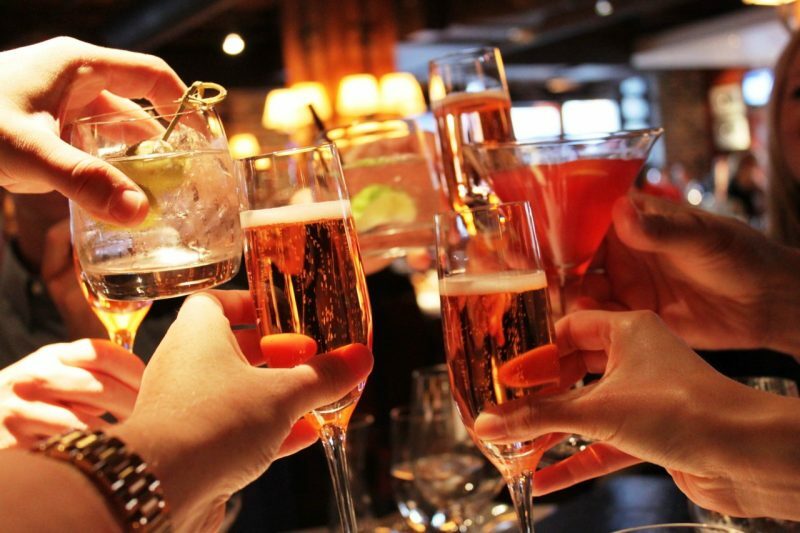 All you have to do to win is…..
For some of the cheapest drinks going around, pop down to the Club during Happy Hour. 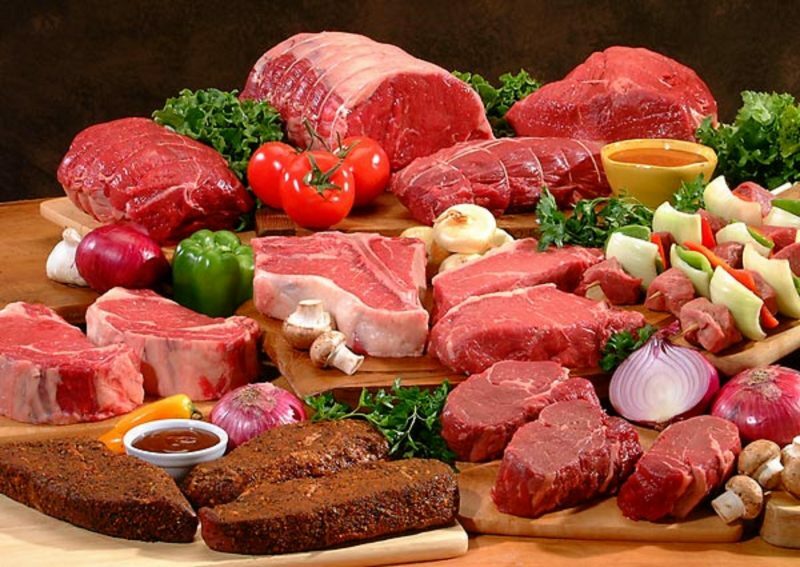 Buy your tickets from 6pm to win one of 6 Mighty Meat Trays, from $100 for 1st down to $30 for 6th. All the Meat Trays are supplied by the always awesome Scotty’s Wholesale Meats. Saturdays are Steak and Crownie Night. Just $19.50! 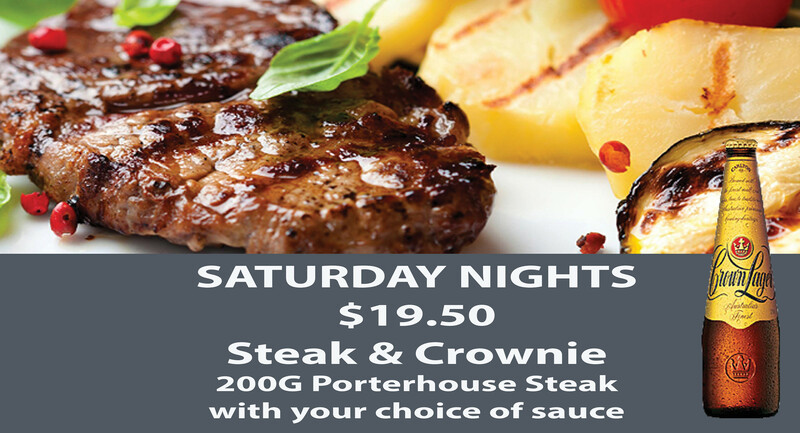 That’s right, a juicy 200 gram Porterhouse with Chips and Salad with a Mushroom, Pepper or Plain Gravy Sauce, only $19.50 with a free Crown Lager. 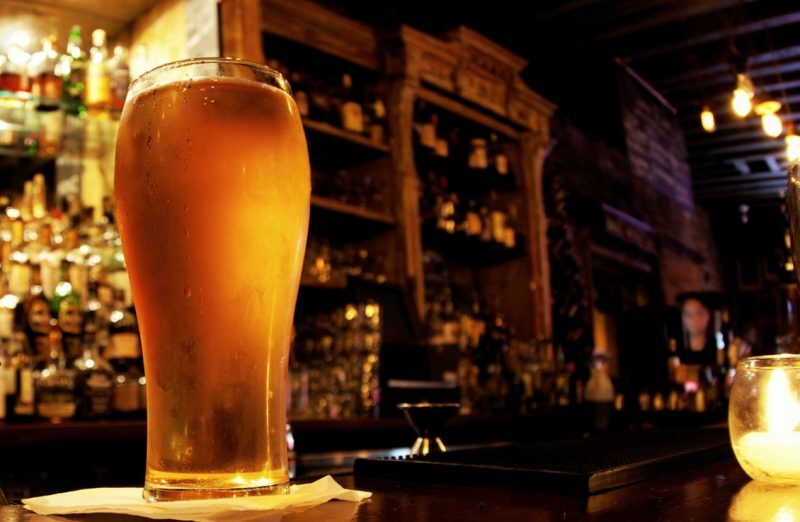 You won’t find cheaper beer than this! 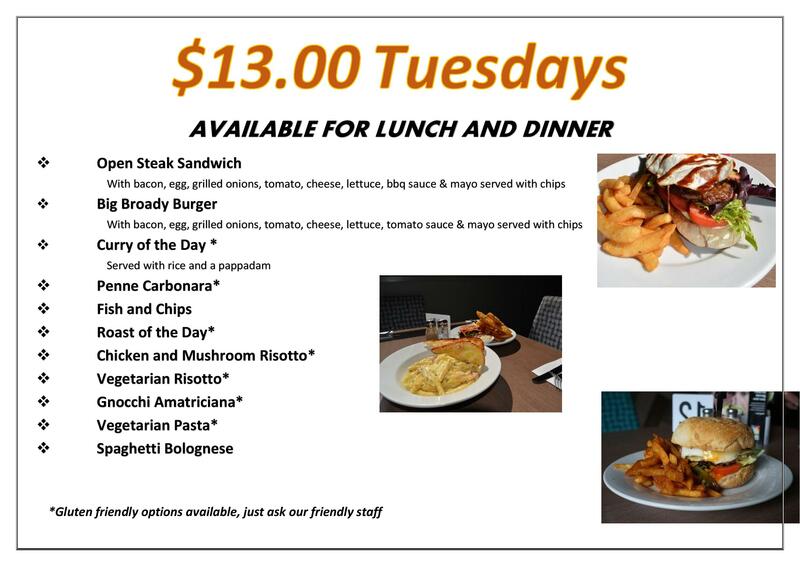 Every Tuesday $13 Tuesdays. Choose from up to 13 meals from just $13!